Themis, the Goddess of justice and law, blindfolded, holding her scales on her left hand and a sword on her right. 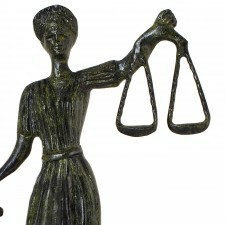 Themis[pronunciation?] (Greek: Θέμις) is an ancient Greek Titaness. 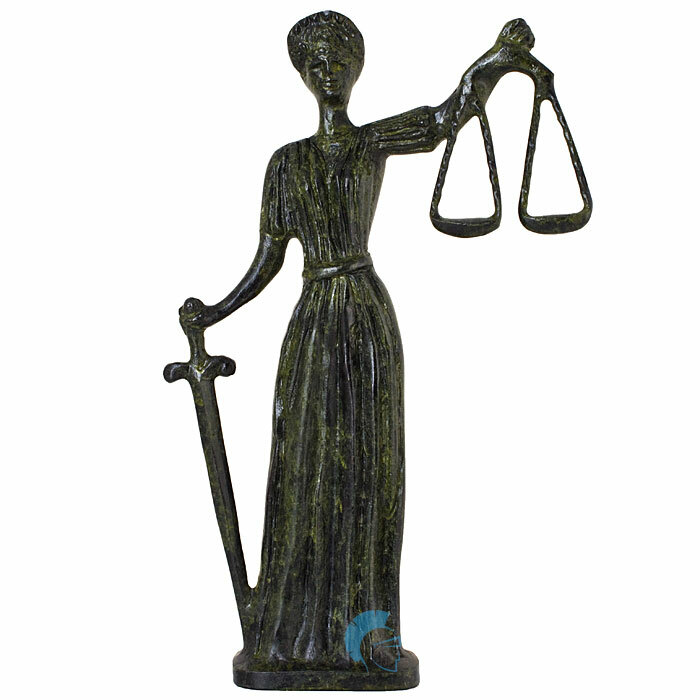 She is described as "of good counsel", and is the personification of divine order, law, natural law and custom. Themis means "divine law" rather than human ordinance, literally "that which is put in place", compared with títhēmi (τίθημι), meaning "to put". Themis is untranslatable. A gift of the gods and a mark of civilized existence, sometimes it means right custom, proper procedure, social order, and sometimes merely the will of the gods (as revealed by an omen, for example) with little of the idea of right. Finley adds, "There was themis—custom, tradition, folk-ways, mores, whatever we may call it, the enormous power of 'it is (or is not) done'. The world of Odysseus had a highly developed sense of what was fitting and proper."